Dr. Gwendolyn Taylor serves as the Dean of Allied Health Sciences and Nursing at Augusta Technical College. She has 37 years of nursing experience. Her career includes working as a staff nurse and assistant nurse manager in the hospital setting for 11 years and 26 years in education. Dr. Taylor earned a baccalaureate degree in nursing from Tuskegee University (formerly known as Tuskegee Institute), a master’s degree in nursing from the Medical College of Georgia (currently known as Augusta University), and a Doctorate of Education degree from the University of Phoenix. Dr. Taylor has experience in regional and programmatic accreditation. She has served as a peer evaluator for the Accreditation Commission for Education in Nursing (ACEN) since 2005, a team chair since 2016, and an Evaluation Review Panel (ERP) member since 2013. Dr. Taylor also served on the committee that developed the ACEN 2013 Standards and Criteria. At the regional level, Dr. Taylor has served as an academic evaluator for the Southern Association of Colleges and Schools (SACSCOC) since 2015. 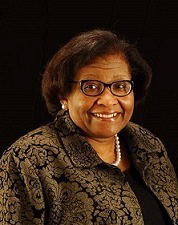 Dr. Taylor is a member of several national and state nursing organizations, including the American Nurses Association, Georgia Nurses Association and the Georgia Association of Nursing Deans and Directors (GANDD). Locally, she serves as a member of the Central Savannah River Area (CSRA) Nursing Workforce Development Group.